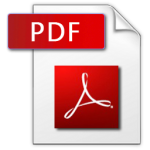 Printable document Format (PDF) is one of the most widely used portable document types. However, sometimes you may need to change or correct a PDF document. PDFill and PDFescape are free software/tools for Annotating, marking and editing PDF documents or files. Check them out if you want a free tool to edit PDF files. Adobe acrobat writer is a well known PDF editor but it is not free software. 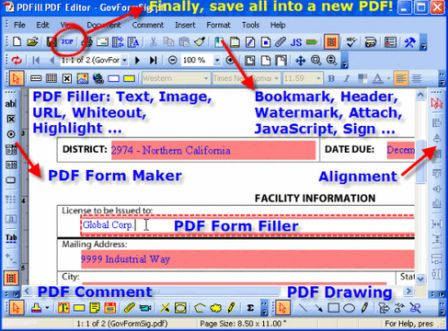 If you want a free PDF editor to edit, annotate or mark PDF documents, PDFill is the solution to all your PDF editing needs. 1. Insert, Fill, Edit, Delete and Submit PDF Form Fields. 2. Type, Draw, Comment, Sign and Scan PDF Documents. 3. Open, View, Edit and Save PDF files without Adobe Acrobat. 4. Insert web links into PDF documents. The only downside is that, edited PDF documents are watermarked. If you are using PDF documents for internal communication and research documents etc., PDFill is a great help available for free. Watermarking is not there in the paid version of PDFill. Download and install PDFill here. You must have Adobe acrobat reader installed on your computer. Also you need to have Ghostscript installed on your computer. Both can be downloaded and install from the PDFill download page itself. For editing PDF documents without watermarking for free you can use an online service like PDFescape . PDFescape is a free online PDF editor and Formfiller which allows you to do simple editing tasks on uploaded PDF files. PDF files to be edited, must be less than 10 MB and less than 100 pages. For most cases, it must be a sufficient enough tool to edit PDF files. Just upload your document, edit it using PDFescape online tools and download it back to your computer. 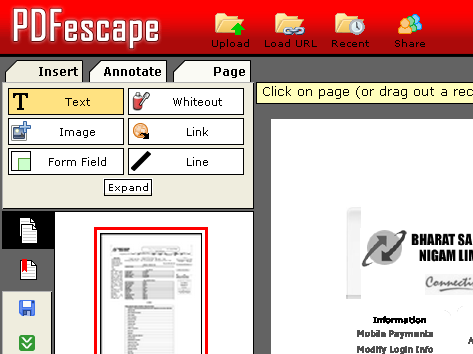 You can also publish PDF forms with PDFescape. If you know of any other free service to edit PDF docs share it in comments below! !